After years of searching, I finally found the best homeschool spelling curriculum for my family! 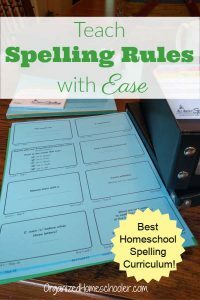 When we first began homeschooling, I dutifully compiled lists of spelling words that contained the same spelling patterns. We practiced the words all week-long and tested on Friday afternoons. I remember using this method when I was in school, so it was worth a try (and it was free), but ultimately it was a waste of our time. It seemed to work at first, but in reality there was no long-term spelling improvement. My daughter was memorizing the words solely for the test. Within a week, the words were forgotten. Without long-term spelling success, what is the point? Next, I tried inexpensive spelling programs purchased on TeachersPayTeachers.com and at consignment sales. They didn’t work for our family either. One popular curriculum actually made my perfectionist daughter cry. We had to figure out a better solution. I was trying to find a free or very cheap spelling curriculum, but in the mean time we were wasting time and growing frustrated. My kids were not improving in their spelling. Despite what I had read repeatedly on homeschool forums, my children did not pick up spelling naturally just by reading a ton of books. They need explicit spelling instruction. I gave All About Spelling a try and have been amazed at our success. Finally I found the best homeschool spelling curriculum for my family! What is All About Spelling? 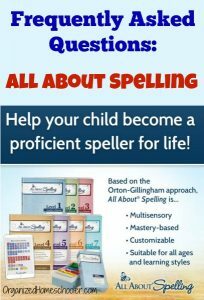 All About Spelling is a multi-sensory homeschool spelling curriculum designed to teach students the rules of spelling with the Orton-Gillingham approach. 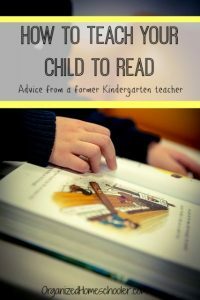 The Orton-Gillingham approach has been shown to be a successful way to teach children who struggle with dyslexia. I think the benefits extend beyond just learning difficulties though. 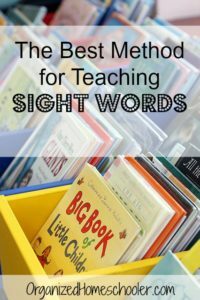 My children do not have dyslexia and this approach has been great for them. There are seven levels to the All About Spelling curriculum. The levels do not coordinate with grade level and it is recommended to start with level one. The purpose of the program is to teach why we spell words certain ways by learning the rules. If you skip the beginning levels your student might miss out on learning some of the rules. I am glad I started both of my kids on level 1, but there are placement tests to see if skipping a level might be recommended. 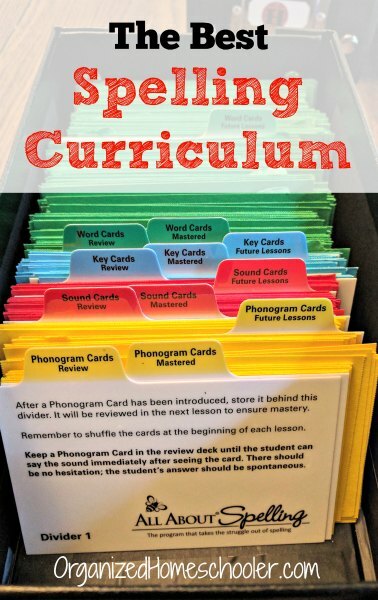 Every lesson includes a review of past material, new teaching, word cards, reinforcement, and extension words. 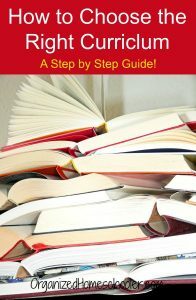 The Teacher’s Manual contains everything you need to know to work through the program. One of the things I love about All About Spelling is that it requires very little prep work from me. I just open the Teacher’s Manual, grab the box of cards, and start teaching. I purchased two Level 1 student packets, a Level 1 Teacher’s Manual, and the basic spelling interactive kit. One for Ben and one for Hannah. Having two sets meant that I could keep their cards separate. 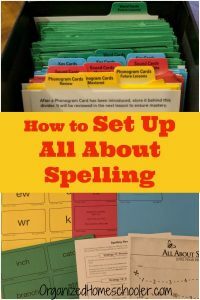 You really do need all of the components of the program, but the basic spelling interactive kit will work for every level of the program and can be used by multiple kids so you only need to buy it once. Both of my kids started at the very beginning of the program, but I always teach it individually. This allows them to progress at their own speed. Hannah completed two and a half levels this year and Ben completed one and a half. We will review and pick up where we left off in the fall. 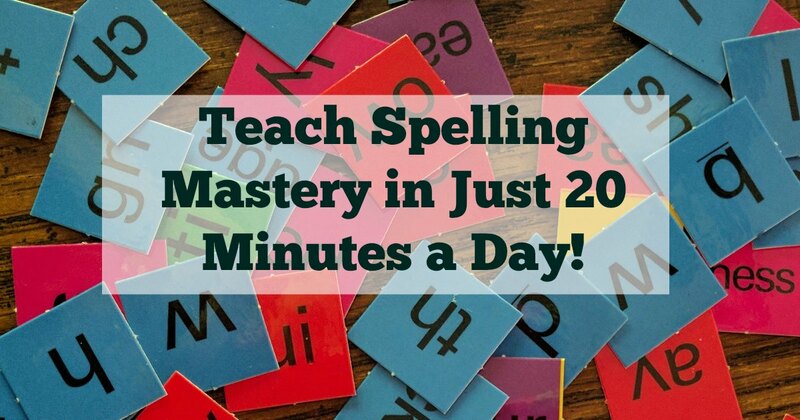 Each day we spend about 15-20 minutes working on spelling. We take our time working through the lessons. The lessons are self-paced, so we do not need to rush. Some days the lessons are short and are simply reinforcing rules the kids already know. On those days we breeze right through an entire lesson. Other times the lessons are longer, or the rules are a bit confusing. When that happens we stick with it until the rule makes sense, no matter how many days that takes. There is no stress or pressure to move on until the student is truly ready. We typically do spelling in the dining room near our magnetic whiteboard, but have found it easy to transport. 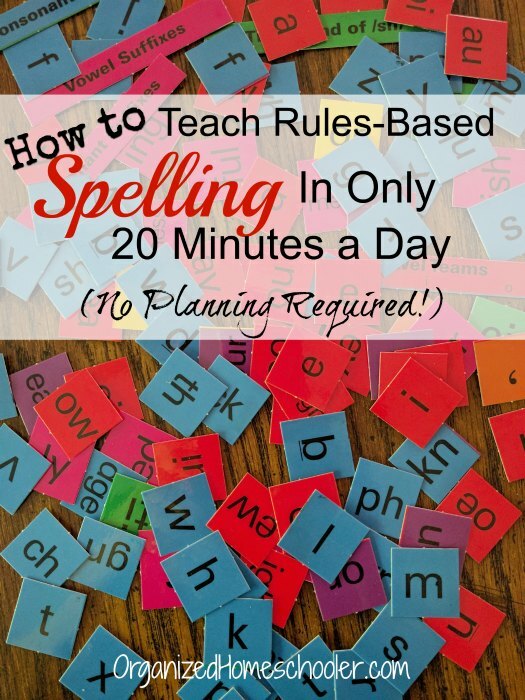 When we need to bring All About Spelling to our homeschool co-op, I just bring the teacher manual, a baggie with the cards, and a small dry erase board and marker. We leave the tiles about home. This lets me teach one child while the other is in a co-op class. Do not skip levels. You need to build the foundation. This box works well for storing the cards, and is a bit cheaper than the one available from All About Spelling. 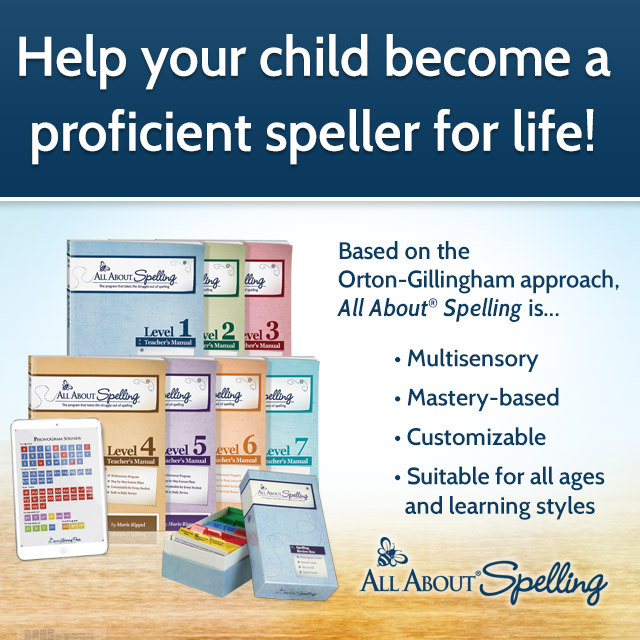 Download the All About Spelling app (it’s free!). It is very helpful for teaching correct pronunciation of all of the sounds. I recommend this app even if you decide against the curriculum. All About Spelling even offers a full year return policy. Just return the curriculum for a full refund (minus shipping) if it isn’t a good fit for your family. I wish the other spelling programs I tried in the beginning had the same policy. I wasted so much money trying to find the best spelling curriculum for my family. I have been searching for a Spelling program for my son who is in 4th grade but struggles and has Dyslexia so I will check out this program this week. Thank you for making me aware of it and how it works. I hope it helps! My kids are not natural spellers, but this program has helped them learn to spell and to gain confidence.